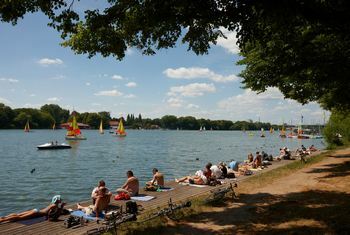 There is scarcely any other city that can offer such diverse and attractive leisure amenities as Hannover, the capital of the State of Lower Saxony. 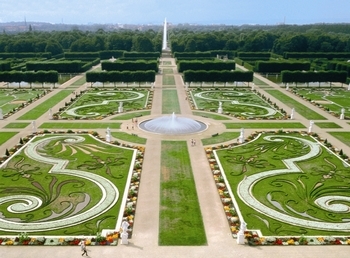 You can stroll through the Royal Gardens of Herrenhausen or enjoy the unbridled greenery of the Eilenriede city forest; while the Maschsee Lake has a Mediterranean feeling that visitors revel in. The meadowlands along the River Leine entice ramblers and cyclists to explore their wide expanses. And all these things are to be found right in the heart of the city. 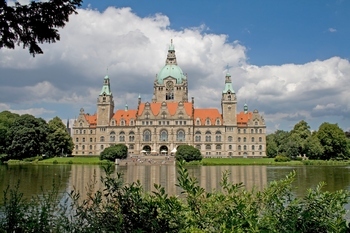 At the same time, the surrounding Hannover Region offers a wealth of tourist highlights such as Lake Steinhude, the Deister Hills, the world cultural heritage sites Goslar and Hildesheim or the charming Burgdorfer Land. Hannover’s lively city centre attracts shoppers with its extensive pedestrian zone, the new Ernst-August-Galerie and a series of elegant arcades and shopping malls. In the Old Town quarter you can stroll through narrow medieval streets and relax on the banks of the River Leine or in one of the countless cafés. Lovers of the arts from all over the world are drawn by Hannover’s theatres and concerts, the outstanding offerings of its art galleries and its numerous museums and noted buildings. As a city of trade fairs, events and sport, Hannover is a place of international encounter. Among the annual events that attract visitors in their thousands are the Maschsee Lake Festival and the biggest Marksmen’s Funfair in the world. Hannover is a state capital of great charm. Many visitors are quite astonished to hear that the magnificent building they are standing in front of is, actually, the "new" townhall. It's size and grand architectural style make it look more "historical", like a relict from more majestic times, when Hannover used to be a kingdom. The townhall itself was, however, ceremonially opened on 20 June 1913, after twelve years building time. "And it is all paid in cash, your Majesty", as the then mayor of Hannover, Heinrich Tramm , proudly announced to the emperor Wilhelm II, present at the opening ceremony. The proud figure of ten million Mark was the amount the municipality was willing to pay for it's new splendid building, erected upon 6026 beech-tree piles. 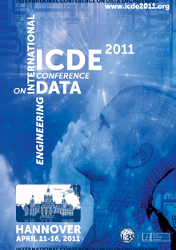 It was designed by the architects Eggert and Halmhuber. The new townhall is the residence of the mayor, the head of the municipal administration. It is here, that the political bodies hold their sessions, receptions for official guests of the city and art exhibitions are held, the "Citizen's Office" is also here. The doors of the Townhall are always wide open to all visitors. But there is more to see. The Hodler Hall, for instance, with it's monumental mural painting "Unanimity" by the Swiss painter Ferdinand Hodler, depicting Hannover's conversion in the Reformation. Or the Mosaic Hall, where a procession of craftsmen is shown on three mosaic pictures, or the adjacent Ladies Hall with it's noble decor.